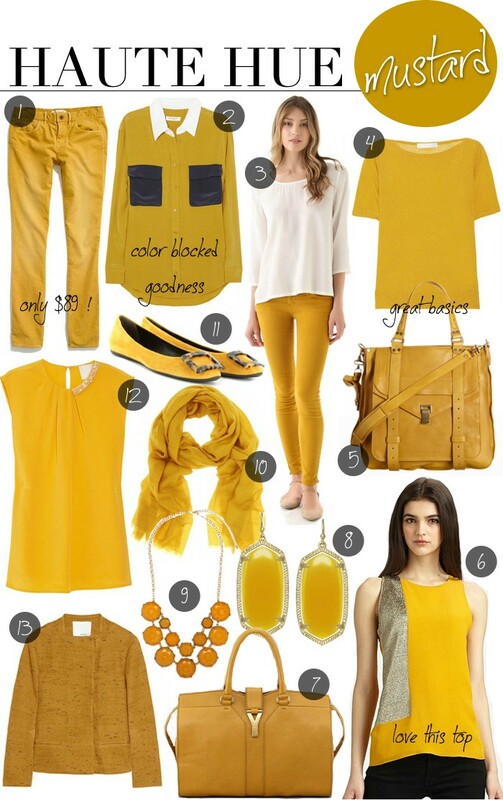 A color I have yet to try on myself is the bold hue of mustard. There are so many great pieces this fall in this sharp shade and I really feel like now’s the time to get with it. Wear it with black, browns or go monochromatic and wear an all-mustard outfit (big hit for fall). I may even try pairing it with plum – think it’ll work?